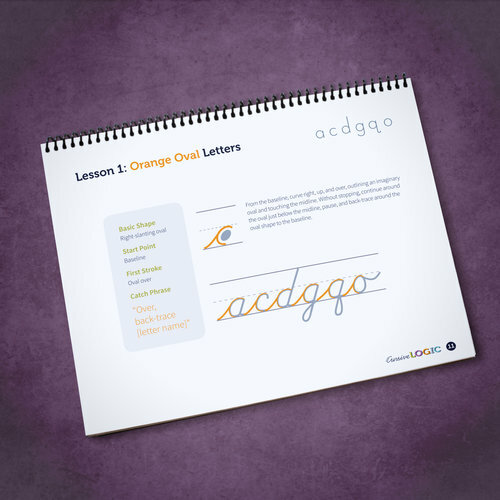 My 7-year-old was begging to learn cursive, so I was really happy to have the opportunity to try out and review CursiveLogic‘s CursiveLogic Quick-Start Pack and The Art of Cursive. There is a discount code offer right now! 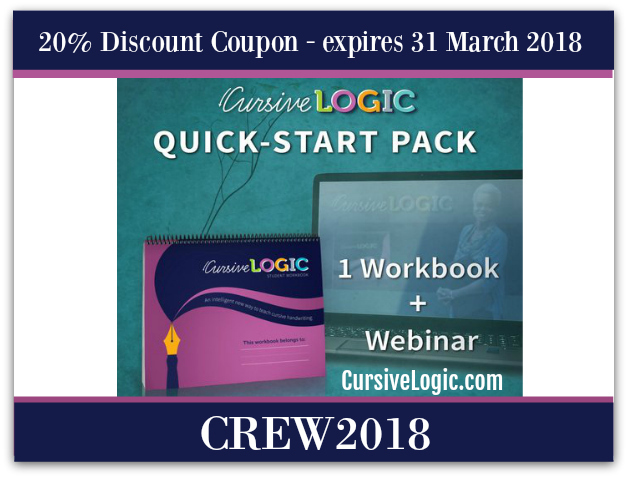 The code is CREW2018, and you can save 20% on the Quick-Start Pack, which is the webinar + workbook combo. The code will be active through the end of March. My own cursive is messy, and always has been, but I’d like my kids to have neat handwriting. My two older children have done well with neat printing. My oldest child, 10, has neat handwriting when he wants to, but unfortunately the old program we used resulted in a very upright-looking cursive. If he tries hard, it looks neat, but it doesn’t have a nice, flowing script kind of look to it. His neat script is slow and painstaking, not the easy fluid movement that it should be. I’ve been on the lookout for something new to try with my younger children, and for a way to help him improve the look of his script a little bit. I watched the webinar that came with the CursiveLogic Quick-Start Pack and it was helpful. It was about an hour long video and it was full of tips for getting better handwriting results. There were a lot of small things that I hadn’t thought of, so I felt like the webinar video was really worthwhile, especially since my results with my oldest weren’t as awesome as I’d hoped for. 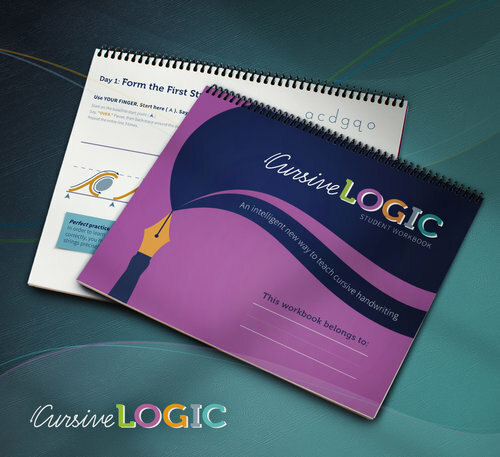 CursiveLogic is designed as a 10-week program, in a classroom setting, but the seminar said that in an individual setting, children can go faster. I think it is going to take my 7-year-old about 6-8 weeks. She is carefully going through it, not wanting to rush through and make mistakes (that’s her style). She did half the forms in a month and during that time she gained enough confidence to write notes to me in cursive. She and I both like how CursiveLogic teaches several letters at once. Children quickly practice connecting letters together and the resulting script is pleasant to read. The letters are chained together (called a “string”) in a way that makes the handwriting flow and promotes muscle memory. There are catchphrases to say as students practice. The target age for CursiveLogic is about 8 and up, but my 7-year-old is very capable and already has neat printing. She wants to learn to handwrite fast and was frustrated at not being able to write words yet. She really liked the letters grouped into strings and she felt like she was making progress right away. Parents of Lefties: You will appreciate how the book is bound at the top, so your lefties aren’t always having to deal with a spiral in in the way of their left hands. I’m left-handed, and YES, this is a big deal. Here are my 7 year old’s before and afters. I can see a HUGE improvement already in the way the letters string together. See how the “a” is sort of this weirdly loopy floating thing in the “before” picture? In the “after” picture, the letters flow together well. I LOVE IT. She hasn’t got perfect handwriting yet, but remember she’s 7 and she’s only a month into the program. Her opinion is that she is making quick progress and she likes this a lot. These are his before and after photos taken from his random work from other subjects. I don’t expect miracles in a month, but I think there is a definite improvement. My 5-year-old has difficulty with printing. I am great at teaching printing – I have taught MANY young children printing and got great results with that as a public school teacher, but she’s still developing her fine motor skills and struggling to make neat letters. She’s that kid who got gross motor skills really early, and the fine motor skills are lagging a little. She knows all of her printed letters and is a beginning reader, so I was curious how she would do if I started her with the letter strings using the CursiveLogic method for younger children shown in the seminar that goes along with the student book. I couldn’t make progress with her in a month, which isn’t anything against the program – it’s just developmental. There are posters for CursiveLogic that are available to use with younger children who are learning cursive, but I don’t have them. I think I am going to wait until summer and get some of the things designed to help younger children in her situation. The initial cost of the program is more expensive than the other workbooks I’ve bought. However, I’ve had to keep buying new workbooks each year for my oldest child, hoping to improve his cursive. It looks like my middle child will use this program for 10 weeks and then she won’t need to keep doing cursive workbooks. Did you see how much better her cursive looks already? And she had already done a semester of handwriting with a different program in her “before” picture! She will finish CursiveLogic, and then she can practice her handwriting in her everyday work. 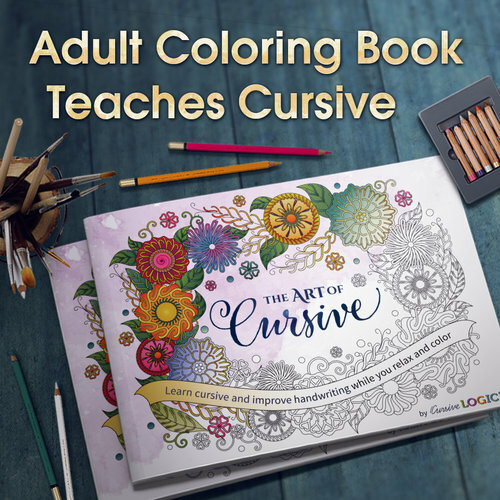 I don’t know about you, but being done with “learning cursive” in 10 weeks or less sounds sooooo much better to me than doing years of handwriting workbooks.